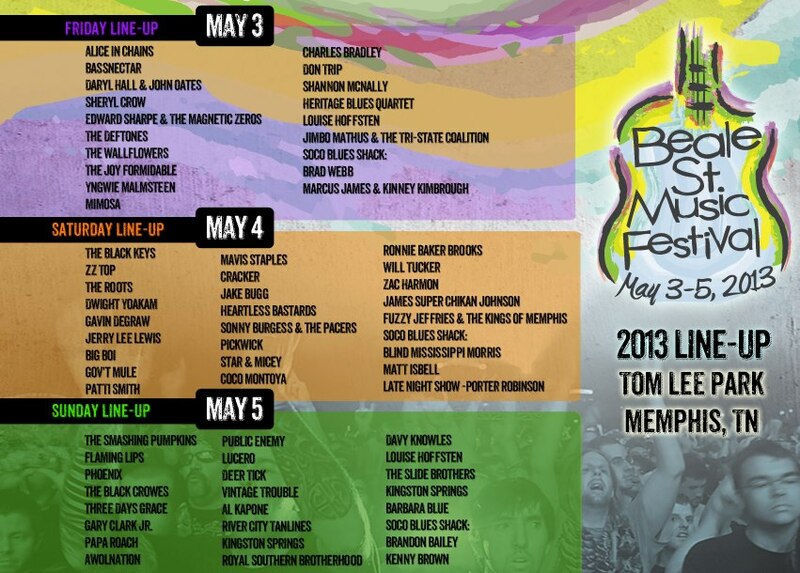 First off, we just want to congratulate Memphis In May for another great line-up for Beale Street Music Festival. With acts such as The Black Keys, Flaming Lips, The Roots, ZZ Top, & Mavis Staples, it’s sure to be one rockin’ event! Also, for anybody going, the festival has a stacked roster of Memphis musicians you should check out including legend Jerry Lee Lewis, veteran acts Al Kapone and Lucero, rising stars Star & Micey and River City Tanlines, and many, many more.